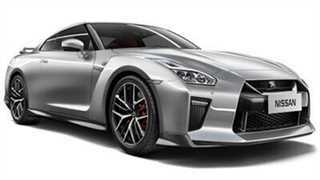 West Way Nissan is excited to announce a very exclusive offer on the iconic Nissan GT-R. Following the GT-R's lead of breaking rules, this exclusive offer can only be secured at West Way. With limited availability, please contact a member of our team at our High-Performance Centres for more information. "Of all the evocative automotive acronyms RS, GTI, AMG... there's arguably few quite as iconic as the one they term Godzilla, the proverbial giant-killer, GT-R"
Watch Alexander Jaskowski's review of the Nissan GT-R.